With smart glasses bound to grow in popularity, pretty soon the demand for more innovations in the wearable technology category is guaranteed to increase. Brands like Google and Samsung made the initial foray long time ago and it is not going to be long before the results of their efforts will dominate the industry. A common notion among people is that by 2020 smartphones will be replaced by smart contact lenses, eyewear, watches and in-ear audio plugs, etc. In the near future, the numbers of such wearables around us will be substantial. Wearables can be considered in three broad categories – smart glasses, augmented and virtual reality eyewear. 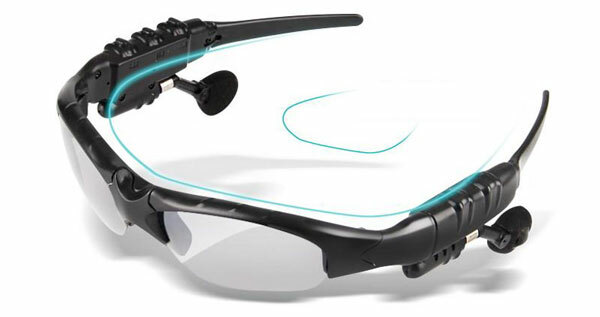 Of these, we have already seen products in the smart glasses and virtual reality category. But now Samsung has hinted at ambitious plans to come with an eyewear that is set to make heads turn. The experiences with Google glass managed to create headlines. Soon after Google launched its project, Samsung also announced plans of embarking on a similar mission. It all started with the Korean giant registering the name Gear Blink. At first, anxious fans thought this was the name of the Galaxy Glass Headset. But it turns out that Samsung may be hiding bigger plans. Gear Blink could be Samsung’s smart contact lens. This lens will allow the user to connect to the smartphone (presumably an upgraded version of the Galaxy device) and control its input through the blink of an eye. The patent for the smart contact lens was filed way back in 2014 but Samsung chose to stay mum about it for quite some time. Reports on Digital Trends indicated that details filed along with the patent for Gear Blink were made public some time ago. Samsung is no newcomer to the Internet of Things. The brand already has various wearable technology devices like smart watches, its virtual reality headset, etc. But with Gear Blink, the brand sure aims to make a big move into the domain of augmented reality. Now one may wonder that with already a virtual reality glass in place, why is Samsung working so hard over a smart contact lens. However, in its patent application, Samsung has explained that projecting an image through the lens will ensure better quality and therefore better viewing experience for the customer. Basically, the display could be embedded into the lens instead of being linked to a separately attached device. While Samsung has filed the patent, gadget lovers should not expect the augmented reality devices to come up so soon. After all, the biggest challenge, in this case, is to reduce the size of the components to fit into the lens. Only then will Samsung be able to deliver according to the standards raised by its customers. The patent also reveals that this device will come with a Bluetooth earpiece and a head-up display. Additionally, Gear Blink is expected to cover a larger focal distance bringing in a better view. Originally, it was rumored that Samsung would launch the device along with the famed Galaxy Note 4 but that did not happen. Turns out even Google is working on another version of the Google Glass which is said to give a more refined user experience. Clearly, the demand for wearable technology is growing. As of now, the project may seem a little too ambitious to be true but Samsung is known to pull off such projects with enviable finesse.